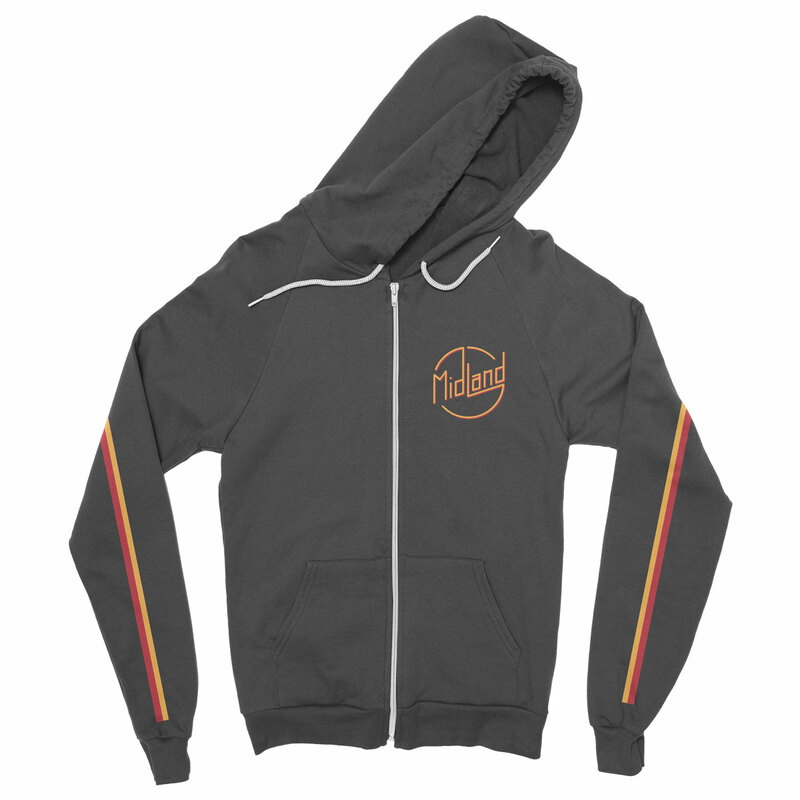 Gray zip hoodie featuring Midland logo on front left pocket and striped sleeves. Please allow 2 weeks for processing this item. This jacket is perfect. True to size and fits perfectly. It's very tailored and looks great on. Love it! Copyright © 2019 All Rights Reserved. Musictoday II, LLC, is the seller of all Midland merchandise and is solely responsible for all aspects of your purchase.